The overheating yield on the 10-Year Treasury note has investors scrambling for interest-rate (and inflation) insurance. So today I’m going to give you 4 proven strategies—and 9 terrific investments—that will give you just that. Plus we’ll grab massive dividend yields (up to 9.6%!) and upside too. More on all of this shortly. First, we need to talk about the one move you don’t want to make right now. When rates rise, folks holding long-duration bonds take a double hit, because their bonds drop in value as newer, higher-yielding ones come on the market—causing them to miss out on a shot at a bigger income stream, too! With few catalysts ahead—and stiffening competition from small, local food makers dragging down sales—GIS’s payout likely climb any more than a piddling $0.01–a-year for the foreseeable future—if that! The truth is, there’s no good reason to own consumer staples like GIS today, and investors know it. Check out how the stock has dropped as Treasury yields have surged. It’s a mirror reflection! Which brings us to my first rising-rate strategy, which—unlike long-duration bonds—drags your initial investment and your income stream higher with rates. The thing that most folks don’t know is that you can grab a piece of the higher interest these businesses are paying by purchasing floating-rate loans. And the best way to buy them is through a powerful type of fund called a closed-end fund (CEF). We get a pro at the helm: The best CEFs are run by an experienced manager with decades of experience—a must if you’re navigating more obscure areas such as floating-rate loans. They pay outsized dividends: When rates rise, we want a dividend that’s either growing fast (see Strategy No. 3 below) or boasts a current yield that wallops the payout on the 10-year (like the 7.0% payout I reveal two paragraphs on). They’re cheap! Because of a quirk in CEFs’ structure, many of these funds trade at a discount to the value of their holdings, so we can buy top-notch floating-rate loans at bargain-basement prices. Here are five floating-rate-loan funds that should be on your list. Each pays a steady dividend at least 65% higher than the payout on the 10-Year and trades at a markdown up to 11%. Best of all, all 5 CEFs in the table above trade at discounts wider than their five-year average, setting us up for nice upside on top of the 6.1% average dividend yield these 5 are throwing off. Real estate investment trusts (REITs) have an undeserved reputation for tanking when interest rates go north. And while they have struggled this year, these “dark horse” investments are proven long-run winners when inflation and interest rates rear up. Translation: now is our chance to buy cheap! 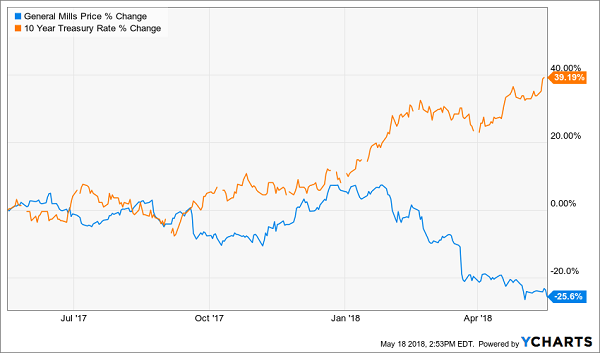 REITs have struggled this year because of a fear “first-level” investors can’t shake: that these trusts, which borrow heavily to build and buy their shopping malls, self-storage facilities, hotels and other properties, will end up paying massive loan interest as rates rise. Trouble is, this ignores most of the story: that rising rates come with a strong economy, fueling demand for rental space and rents and unleashing a torrent of cash flow that easily drowns out rising borrowing costs. And if there’s one thing you can take to the bank, it’s this: where cash flow goes, share prices eventually follow. In just 3 quick buys, we get exposure to top-notch REITs like Public Storage (PSA), Essex Property Trust (ESS) and UK industrial REIT Segro plc (SEGXF). Plus we get an incredible 8.8% average dividend from our 3 REIT funds! And just as with our floating-rate quintet, we get to buy at a big discount, too: all 3 of these REIT CEFs trade at markdowns wider than their five-year averages, so there are some serious “snapback” gains built in here, as well. And in case you’re wondering, no, you don’t have to abandon the household names of the S&P 500 when rates head higher. You just have to be more selective, picking stocks with wide “moats”—or competitive advantages that let them pass along rising costs to consumers. 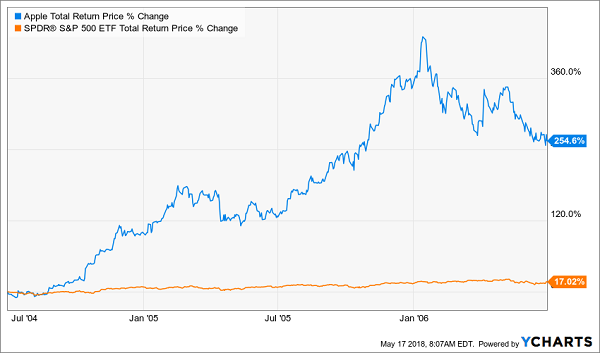 Apple (AAPL) is a great example: the willingness of its fanboys and girls to shell out for the company’s latest gadgets knows no limits. No wonder the stock exploded in the last sustained rising-rate period, turning in a performance 15 times better than that of the market as a whole! 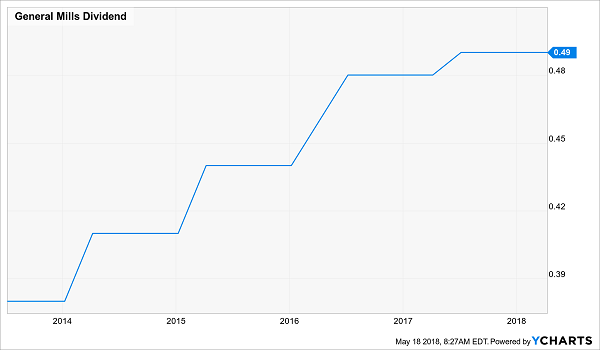 Even though Apple shares yield just 1.6% today, the payout is growing like a weed, jumping 93% since the company started paying dividends six years ago. 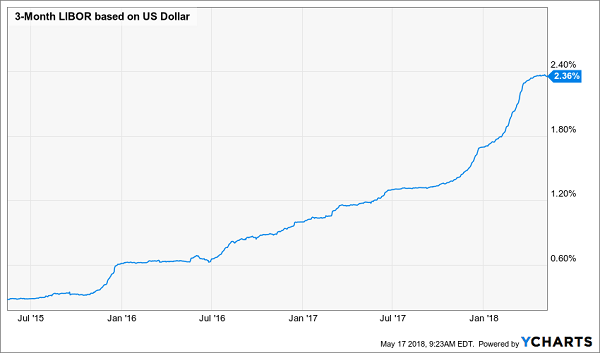 Today, Apple is a free-cash-flow machine, cranking out $53.7 billion worth in the last 12 months, up 26% from five years ago, so there’s way more to come here. And that’s to say nothing of its $270-billion cash reserve, mostly held offshore, which Apple is finally putting to work thanks to the repatriation measures in the Tax Cuts and Jobs Act. Buybacks are part of the plan: it just said it will repurchase $100 billion worth of shares, in addition to the $23.5 billion it bought back in the last three months. No wonder management’s so keen: at 16.5 times forward earnings, this proven inflation fighter trades at a great price. Let’s take the hint and make our move, too. 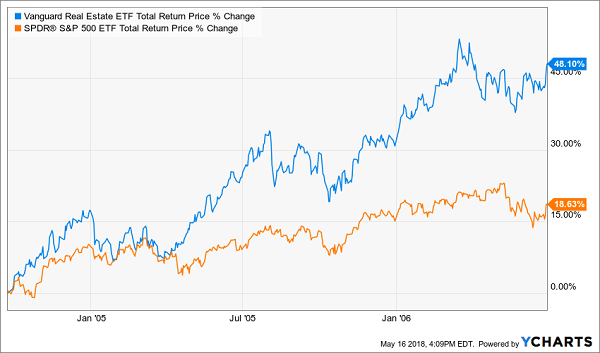 The “8% Monthly Dividend Portfolio” I just released is a tightly built collection of REITs, CEFs and dividend-growth stocks I’ve personally assembled to protect and grow your portfolio as rates ratchet higher. Each one of these income powerhouses is proven to rise in inflation-prone economies like today’s. And that’s not all. Because this portfolio also hands you a tidy 8% in dividend income, year in and year out. 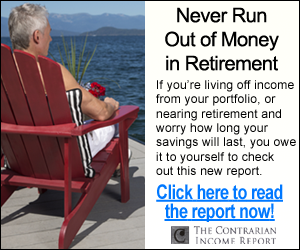 So if, say, you’re a retiree with a $500k nest egg, you’ll generate $40,000 in annual dividend income. That’s easily enough for many folks to retire on dividends alone—so they can largely forget about the markets and interest rates! 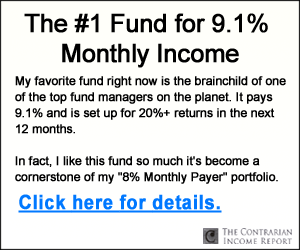 The best part is, the income studs in this unique portfolio pay dividends monthly, so you can look forward to a steady and predictable $3,333 in income, month in and month out—give or take a couple hundred bucks—on every $500K in capital you’re able to invest. I’d love to share the names of all my favorite monthly payers with you now. Simply click here and I’ll give you my full research on these monthly dividend all-stars—names ticker symbols, buy-under prices, the works. Don’t miss out!